Jacques Laffitte was a financier and politician who rose from poverty to become one of France’s richest citizens. Considered one of the creators of modern public credit in France, Laffitte also opened the road for French international investment banking. Napoleon trusted Laffitte’s ability with money, as well as his integrity, though Laffitte’s leanings were more republican than imperial. A supporter of the 1830 July Revolution, Jacques Laffitte ran into trouble when Louis-Philippe ascended the throne. Jacques Laffitte was born in Bayonne, France, on October 24, 1767. He was one of ten children of a poor carpenter. With little formal education, Laffitte began working as his father’s apprentice. He was subsequently employed as a clerk by a Bayonne notary, and then by a Bayonne merchant who had an interest in banking and insurance. On the latter’s recommendation, in 1787 Laffitte obtained a position as a clerk in the banking house of Perrégaux in Paris. In May 1801 Laffitte married Marine Françoise Laeut, the daughter of a merchant and ship’s captain. They had one daughter, Albine, born on May 12, 1805. She later married the Prince of Moskowa, the eldest son of Napoleon’s Marshal Ney. Laffitte’s younger brother Jean Baptiste married Antoinette Lefebvre-Desnouettes, the sister of Napoleonic General Charles Lefebvre-Desnouettes. Jacques Laffitte proved to have an aptitude for banking and rose to become a partner in his firm. 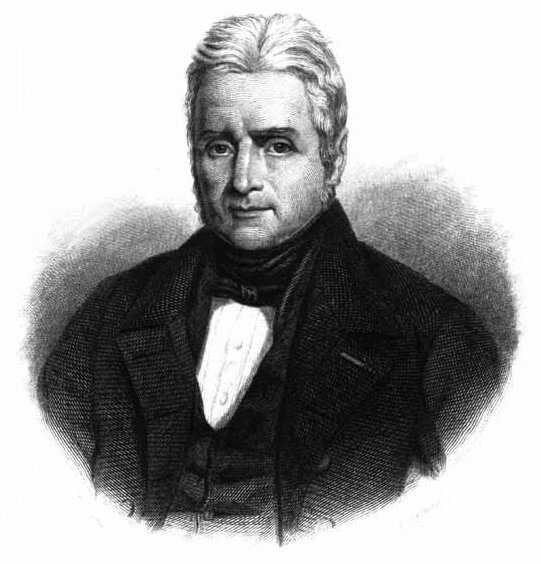 When Perrégaux died in 1808, Laffitte succeeded him as head of the business. The bank of Perrégaux, Laffitte et Cie., already one of the most prominent in Europe, became the bank of J. Laffitte et Cie. 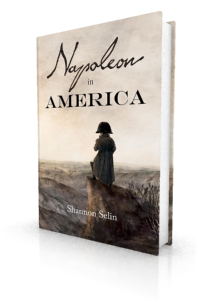 Though Laffitte looked after Napoleon’s fortune during the Emperor’s exile on St. Helena, he was not the firmest supporter of Napoleon’s regime. The Bourbons happily made use of Laffitte’s services. It was clear to Laffitte that the restoration of France’s public credit after the Napoleonic Wars depended on a favourable attitude on the part of foreign investors and speculators. He became involved in floating securities to pay off the French debts to the allies. He also lent the French treasury 10 million francs from his own funds. In 1816 Laffitte was elected as a member of the Chamber of Deputies for the Seine. Though Laffitte was associated with the more liberal members of the Chamber, King Louis XVIII appointed him to his finance commission. In 1819, however, as a result of his vigorous defence of liberty of the press and the electoral law of 1817, Laffitte lost his position as governor of the Bank of France. After the death of Louis XVIII in 1824, Jacques Laffitte became increasingly impatient with the reactionary policies of his successor, Charles X. Laffitte financed liberal publications that encouraged revolt. When this came to fruition in the July 1830 revolution in Paris, he was one of the deputies sent to the Tuileries to negotiate with the king’s government. He was also a member of the group that offered the crown to the Duke of Orléans, who became King Louis-Philippe. Alluding to Britain’s Glorious Revolution of 1688, Laffitte reportedly launched Louis-Philippe’s candidature for the throne with the words, “William must replace the Stuarts.” (4) Laffitte became president of the Chamber of Deputies. In this capacity he received Louis-Philippe’s oath to the new constitution. Despite his initial support for the new regime, Laffitte gained little from it. He was one of the chief victims of a financial depression that began in 1827 and lasted until 1832. In March 1831, Louis-Philippe dismissed his bankrupt finance minister and council president. [Lafitte’s] day-dream was republican monarchy. Vain and honest…he thought himself equal to the direction of public affairs; and, judging of others by his own rectitude of purpose, he imagined it would not be difficult to find honest colleagues to direct the mass, and that the mass would readily fall into their notions. The short rule of M. Lafitte was sufficient to convince the public that he did not possess the necessary talents for government, and to prove to him that able men are more corrupt than he had considered them to be. When his pecuniary misfortunes arrived, and he gave in his resignation as minister, it was generally supposed that they alone led to this decision.…. Laffitte memorably mounted the tribune in the Chambers and asked the forgiveness of men and heaven for having contributed to the success of the July Revolution. Jacques Laffitte died on May 26, 1844 at the age of 76. He is buried at Père Lachaise Cemetery in Paris. Jacques Laffitte appears as Napoleon’s French banker in Napoleon in America. He should not be confused with Jean Laffite, the pirate who rescues Napoleon from St. Helena in the novel. Henry Theodore Tuckerman, Essays, Biographical and Critical: Or, Studies of Character (Boston, 1857), p. 86. Vincent Nolte, Fifty Years in Both Hemispheres (London, 1854), p. 264. Sylvia Neely, Lafayette and the Liberal Ideal 1814-1824 (Carbondale and Edwardsville, 1991), p. 65. Munro Price, The Perilous Crown: France Between Revolutions, 1814-1848 (London, 2007), p. 191. “A Newspaper Editor’s Reminiscences,” Fraser’s Magazine for Town and Country, Vol. 22 (October 1840), pp. 416-417. Essays, Biographical and Critical, p. 90. To read a diary extract describing a dinner at the Laffittes in January 1830, see one of the comments on my post about Henri Lallemand: https://shannonselin.com/2014/10/general-henri-lallemand/. A vain man, unruly and surrounded by what is most suspicious in Paris, but whom it would be difficult to exclude, even if the court and the government exerted themselves to try.